Renowned for her guitar skills and endearing stage presence, 22 year old folk/roots artist Tullara will be launching her very anticipated debut EP 'Better Hold On' at The Milk Factory on DECEMBER 8th. 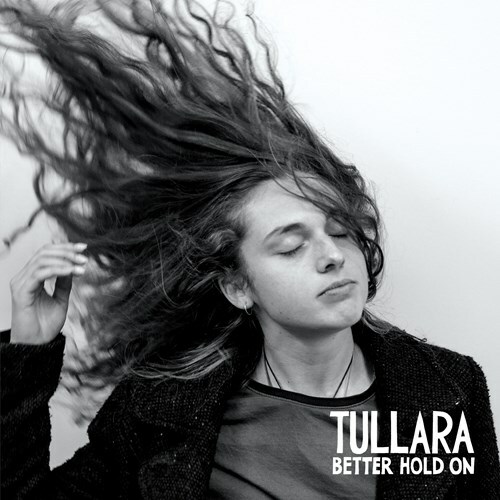 After the success of her first single and music video 'Too Many', Tullara is currently be touring nationally with her dynamic new band in release of her debut EP 'Better Hold On'. Armed with dreamy vocals and soulful lyrics, Hannah Rosa is capturing hearts everywhere. Winner of the 2014 People’s Choice Award at the acclaimed Telstra Road to Discovery, the Brisbane songstress is known for delivering goosebump-worthy performances. After years of touring success as one half of Siskin River, Tullara is about to release her debut EP, Better Hold On. Having spent the last year writing and playing around the world – from her home in Grafton to a sling of festivals across Europe – these six new songs showcase a performer hailed by her fans and fellow performers alike as one of the most prodigious rising talents the country has on offer. Though still young, Tullara has already encountered great success and great tragedy, and these experiences have all fed into one of the most raw and engrossing folk/roots releases of the year. She is unafraid to delve into very honest and universal emotions – from heartache to hope, triumph to tears – and the intricacy of her guitar (not to mention the power of her voice) has won the attention of artists such as Wallis Bird, and John Butler. Backed by her new band, Better Hold On is a remarkable and versatile taste of what is to come. Better Hold On was recorded at Sunshine Recorder Studios, Port Melbourne, with premier female producer and international touring artist Aurora Jane.